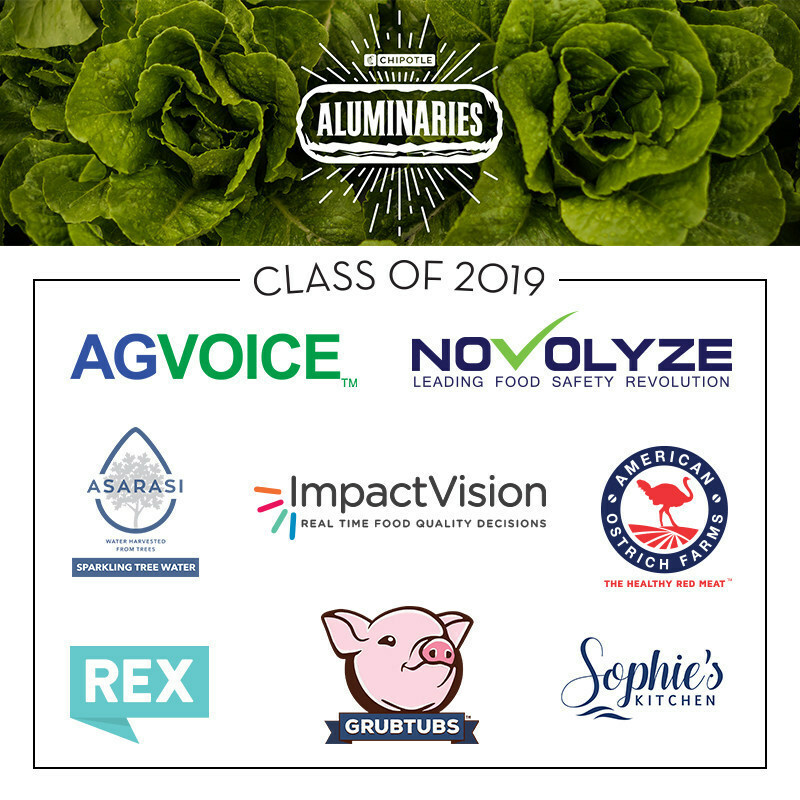 Chipotle Mexican Grill Inc. revealed the first eight food disruptor companies the chain plans to work with under its new charitable program, called the Chipotle Aluminaries Project. The eight companies, announced Monday, were selected for their work in promoting positive change in the food industry, Chipotle said. They will participate in a seven-month-long accelerator program where Chipotle will offer resources and mentorship from corporate executives as well industry leaders like tech entrepreneur Kimbal Musk. "Since our founding, Chipotle has been committed to cultivating a better world, and we believe the best way to lead the future of food is to inspire others to come along with us on the journey and be a force for good in our industry," said Brian Niccol, Chipotle CEO, in a statement. The Newport Beach, Calif.-based fast-casual chain did not reveal the capital investment the company is making with each organization. The businesses selected include: AgVoice (tracking of plant and animal production), American Ostrich Farms (alternative red meat with less impact to environmental footprint), Asarasi (renewable water from maple trees), Grubtubs (turns food waste into insect-based animal feed), ImpactVision (real time quality control through the use of hyperspectral imaging ), Novolyze (food safety bio-tech company), Rex Animal Health (machine learning to improve livestock health) and Sophie's Kitchen Plant-Based Seafood (plant-based seafood alternatives). Caitlin Leibert, director of sustainability at Chipotle, is one of the mentors. The Chipotle Aluminaries Project is partnering with Uncharted, a Colorado-based nonprofit organization formed to address social problems like urban poverty and food deserts.